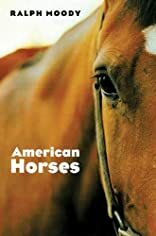 Horses came to America from Spain, England, the Low Countries, and Arabia. Here they interbred and flourished as never before. "Out of the melting pot have come four entirely new breeds that rank among the finest horses of the world. Three of them originated through the painstaking and intelligent efforts of American horsemen, one through a freak of nature." That "freak" was a little bay stallion born when George Washington was president. This chunky, short-legged horse proved to be not only hardy and gentle but also able to outpull and outrun any other horse in New England or New York. Plagued by his owners' bad luck, the horse spent most of his twenty-eight years hauling freight but sired many offspring who also showed the strength, endurance, speed, heart, and peculiar conformation of the original Morgan horse. Based on extensive and careful research, this book tells the stories of the origins of the Morgan, the Standardbred, the American Saddle Horse, and the Tennessee Walking Horse as well as their progenitors-Figure, Messenger, Hamiltonian, Black Hawk, Dutchman, Lady Suffolk, Cockspur, Denmark, Tom Hal, Copperbottom, and Roan Allen-and the breeders and fanciers who recognized their special qualities.